Something interesting happened two weeks ago at Mid Valley. I was specially invited to visit the first ever Blackmores Concept Store with a new health word - Naturopath. Well the word is new to me. I was like what on earth is a Naturopath? A path to nature? A humidifier? *scratch head*. Arriving at the newly launched Blackmores Concept Store, my jaws dropped. 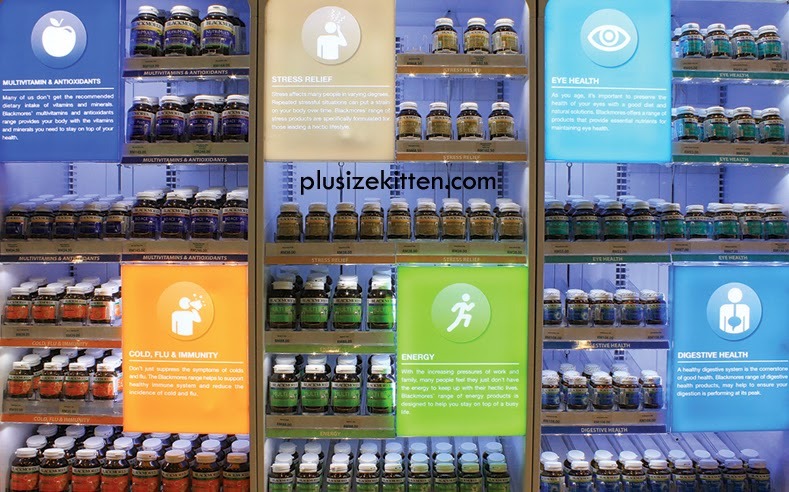 I have never seen such a cool looking supplements store. 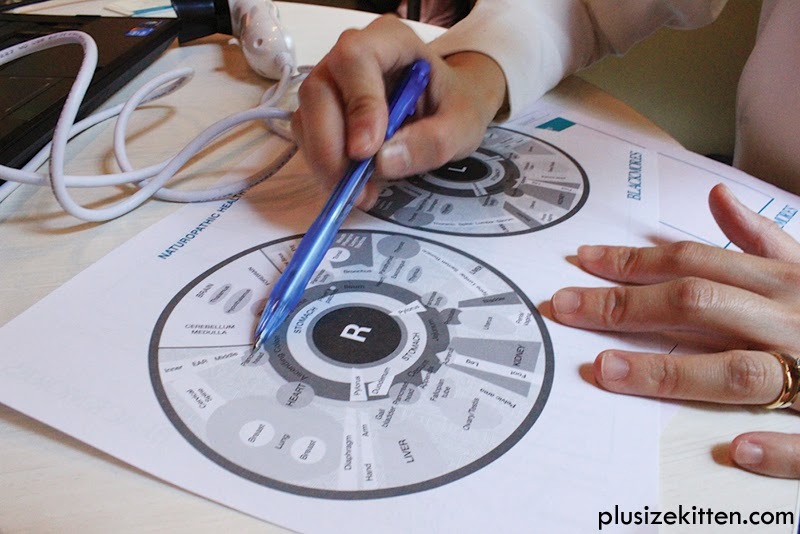 It almost seems like a touch & go, air port hub to buy a product. I particularly like the icons that describes what each shelve unit is about! 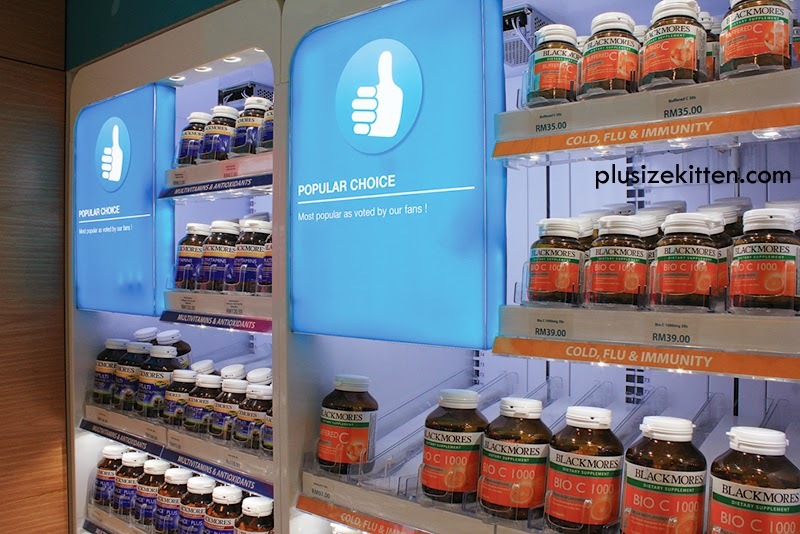 You know how confusing getting supplements can be. 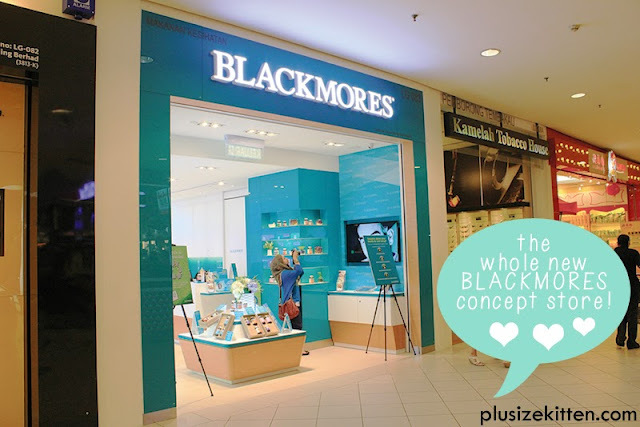 Now everyone can be healthy with this new concept store by Blackmores. It's so easy to pin point what you need and grab a bottle. 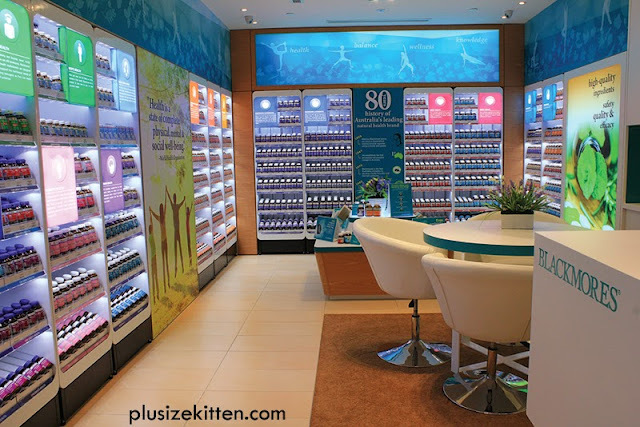 The colors are attractive and the place doesn't feel or smell like a clinical store. 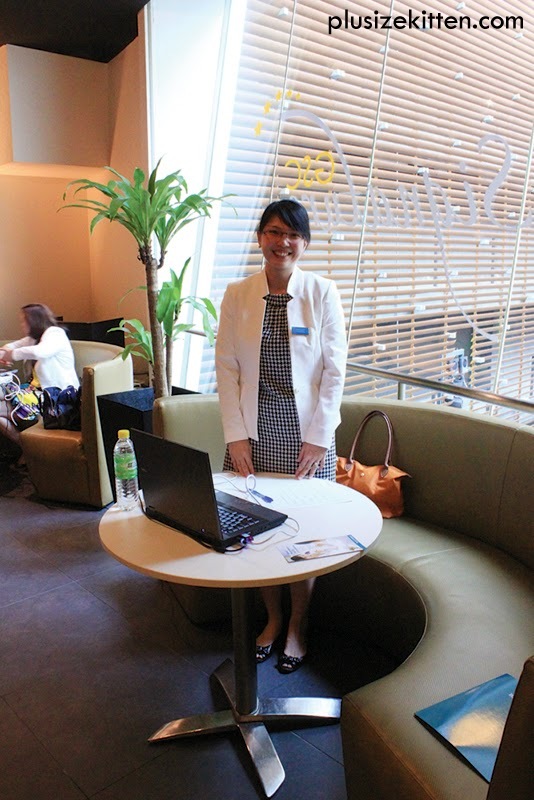 Blackmores Malaysia Marketing Manager, Ms. Goh Sue San welcome me with opens arms. I think she can detect an unhealthy person from afar. 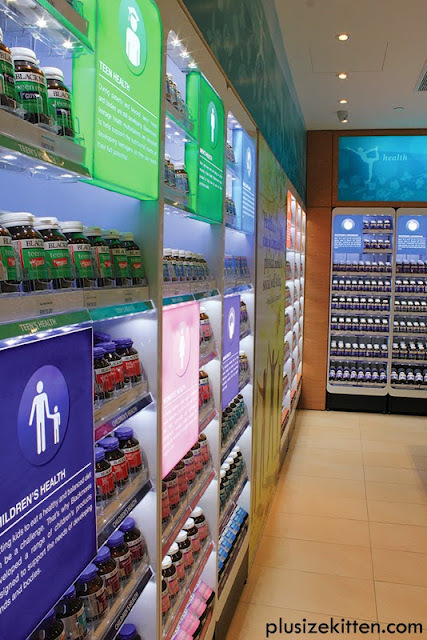 She explains to me a nice store like this also comes with a nice service, one that focuses on Naturopathy. Naturopathy is a philosophy of life and approach to living a lifestyle as close to nature as possible. A system that focuses on building health and promoting the body’s natural self-healing process via holistic health education. I was thinking like "ah hah". Then she says they got Naturopaths and I learnt on that day Naturopaths are human beings and not a dehumidifier. 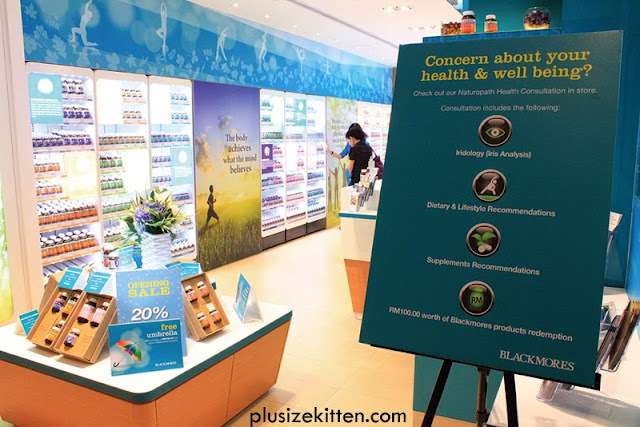 They are like walking health gurus stationed at Blackmores concept store to help customers improve their health and lifestyle. Somewhat like a gym instructor who trains you, now we got health instructor who assesses your health and teaches you how to manage it naturally. Gulping down supplements is easy. I can buy anything that sounds good for me but I don't know if it's what I need. When someone takes a supplement, most likely it's to change or to improve one's lifestyle. 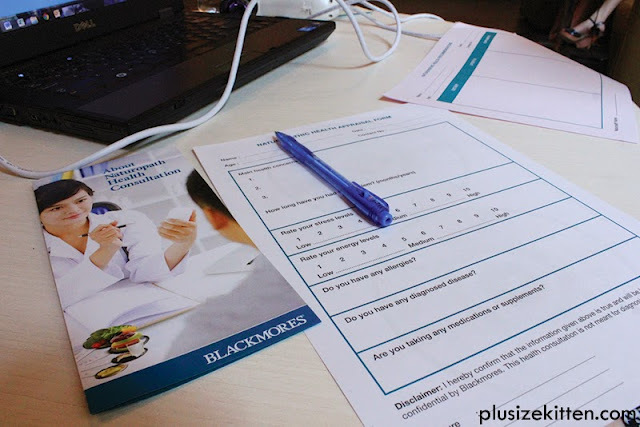 Blackmores took this one step further and hire Naturopaths to help us understand what supplements we need and how we can improve our lifestyles while taking it. To start my natural journey of health, I met my Naturopath - Esther. She sat down with me and ask a few easy questions about my lifestyle. I don't like going through health consultations, most of the time I feel judged with the way they question my lifestyle. Who is in their best health nowadays anyway! Fortunately, Esther was down right non judgmental with me. She didn't even have the "you're a sinner" look when talking to me. Alright I know I am being a drama queen, don't tell me you don't feel this way when someone in the medical or health line questions your lifestyle? I told her everything since she's so nice! But before she can tell me how I can improve my lifestyle naturally, I have to show her my eyes! Yeap my eyes! She wants to look into my eyes, the colored portion of my iris actually that reveals my inner health strengths and weaknesses. She could tell from the eye scan what my family's medical history is like too. For mine, she said the darker areas in the eye scans shows that I am in risk of heart problems and also blood sugar level issues (diabetic?). It does not necessary tells that because such issues can be affected by something else and not directly on a health risk. At this point, I pictured the Naturopath like a health fortune teller using the eye machine like tarot cards but only for real and not really second guessing. After my eye check, Esther shares with me how I could prevent the health issues concerning my lifestyle with preventive health care solutions like drinking more water, exercising just by going up and down my house staircase, and trying to sleep early say 10pm because liver regeneration starts at 11am - 2pm. This small changes would improve my health greatly. She recommends me to take magnesium and supplements for my stress so it would improve my sleep quality, and thus improving my immune system. 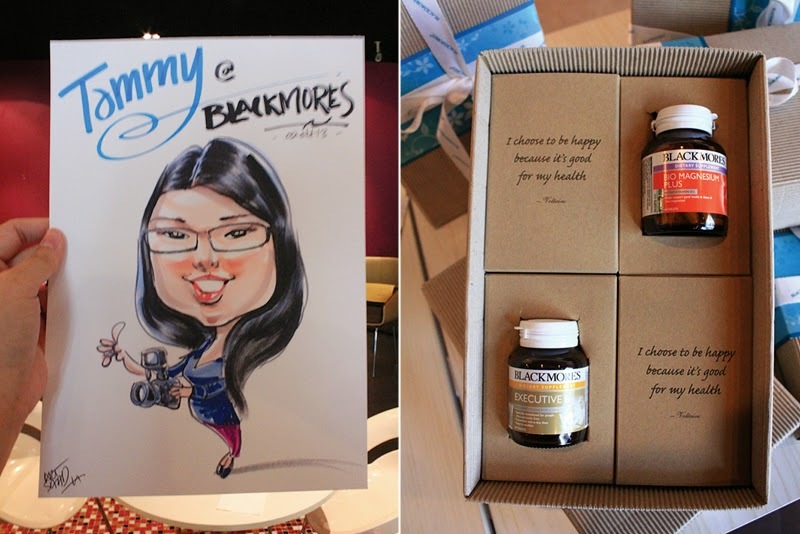 At the end of my Naturopath session, Blackmores surprised me with a gift to get me started on my journey to health. How sweet of them! Esther tells me I can go back to Blackmores concept store to look for her after 1 - 3 weeks time for a follow-up consultation. This is part of the Naturopath service at Blackmores new concept store in Mid Valley. 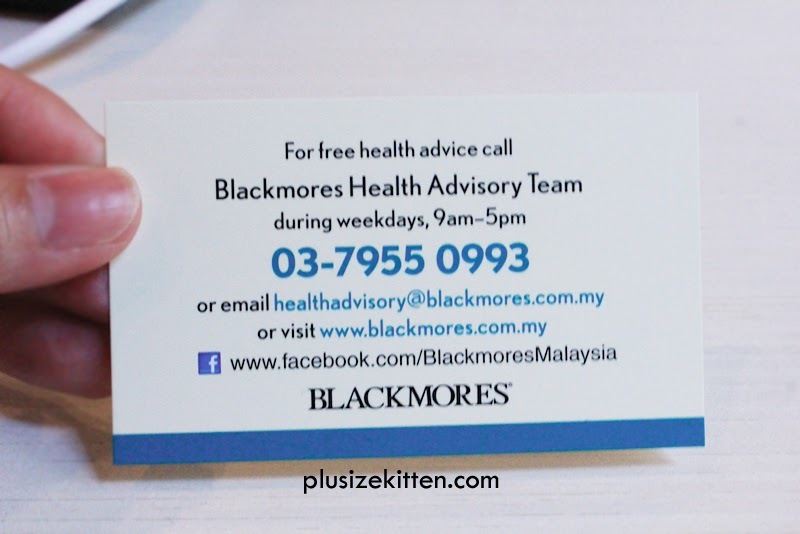 Customers can purchase a RM100 Naturopath voucher and make an appointment to meet a Naturopath for health & lifestyle assessment and eye (iris) analysis to determine the strength and weaknesses of one's health. The Naturopath will chart out a personalized dietary and lifestyle goal chart and recommend supplements. 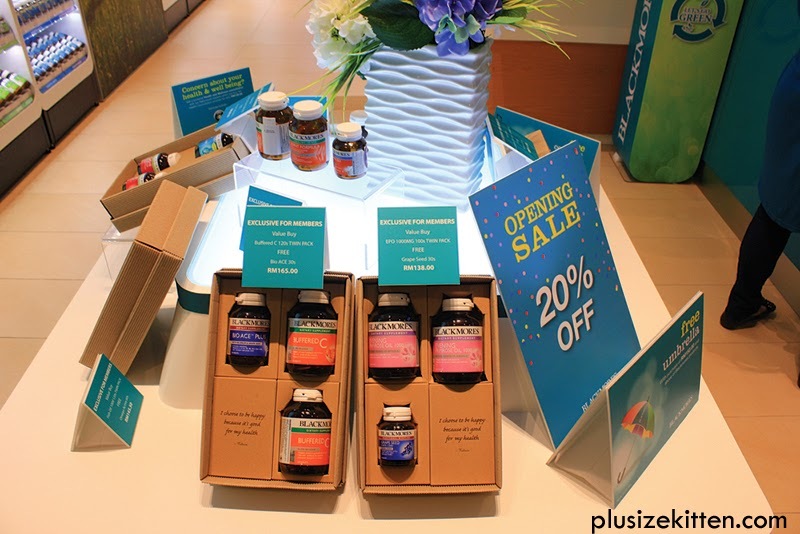 The RM100 Naturopath voucher can be used to purchase the supplements! Customers will then come for a follow up consultation within 1 - 3 weeks. 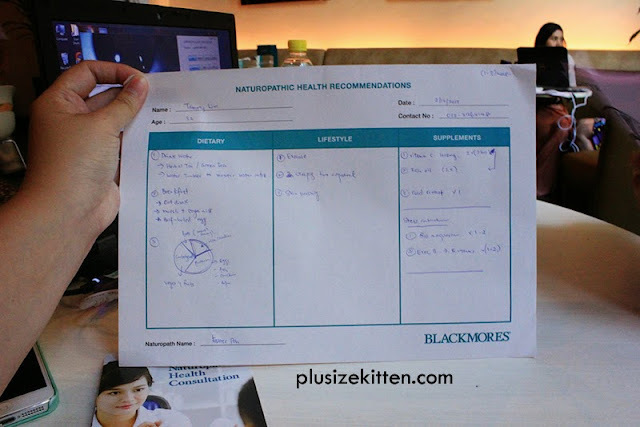 Follow ups are essential to achieve better health as subsequent analyses will be more focused and in-depth on the targeted aspect(s) of the individual’s health. Hope my experience has enlighten you on a new thing this week. Check out Blackmores new concept store in Mid Valley Megamall on the lower ground floor, next to Maybank. The store is really different from the rest! I also taking Blackmores at the moment =) Btw, such a nice and friendly naturopath + very systematic concept store! yeah :) nice improvement from being on shelves. Gotta give it to them to innovate!